The chill in the south continues to deepen and with the forecast temperature at -7’c this morning, the kitchen is a great place to be. That chill coupled with an amazing vege lettuce burger I had a couple of months ago has certainly encouraged my quest to create a simple and tasty winter vegetable fritter at home. Having now settled on my favourite version, I think their uses are far from limited to burgers. Stacked up for breakfast or brunch with an egg, some spicy tomato salsa and greek yogurt or as an alternative to fritters make the mix as one or two whole rosti style pancakes and serve with some hot or cold smoked salmon, sour cream capers and lemon……..
With all these options I am still excited about the lettuce burger today. 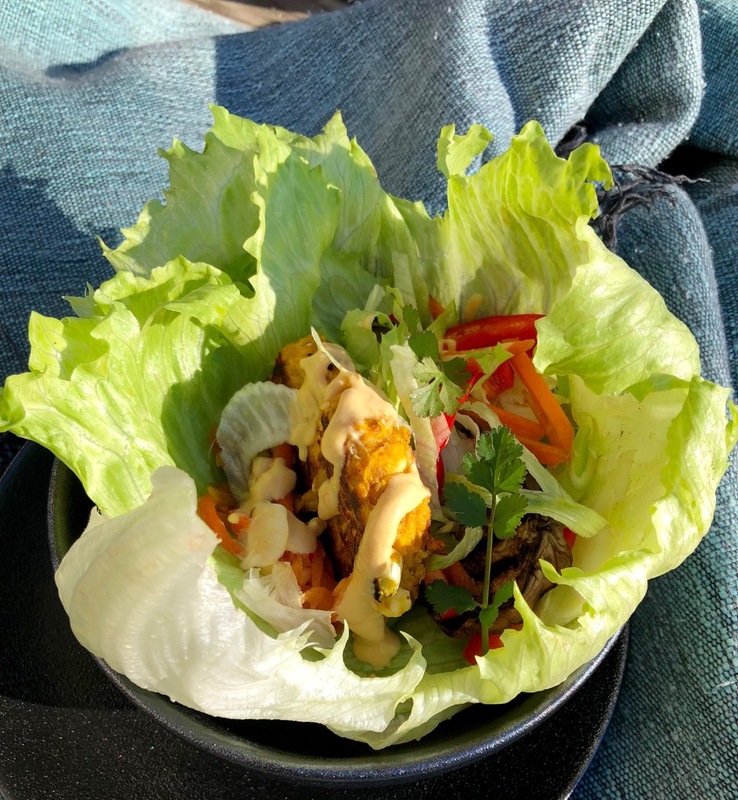 Not a new idea at all but still a really good one – put together one, two or three Iceburg lettuce leaves to make a great vessel for your favourite burger, refreshing, crunchy and amazingly sturdy. 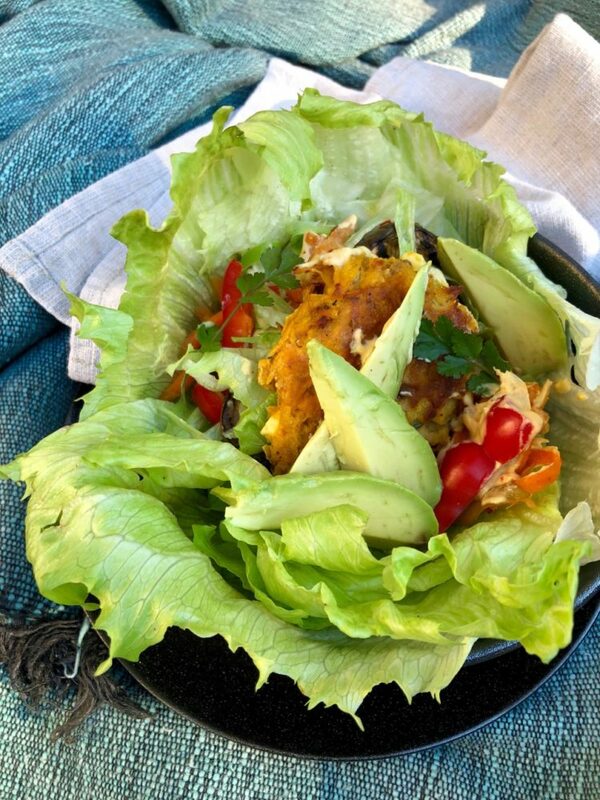 Couple this with a tasty vege fritter, simple salad or slaw, a spicy salsa or some kimchi, maybe a little creamy dressing or yogurt and possibly a few potato crisps or tortilla chips inserted at the last moment for extra crunch. Delicious! I am making these today and plan to put them in the refrigerator ready for “tired and can’t be bothered” night, because on those nights I can’t be bothered to go out and get food either. These fritters couldn’t be easier. Heat a large pan with a good glug of olive oil to a medium heat. 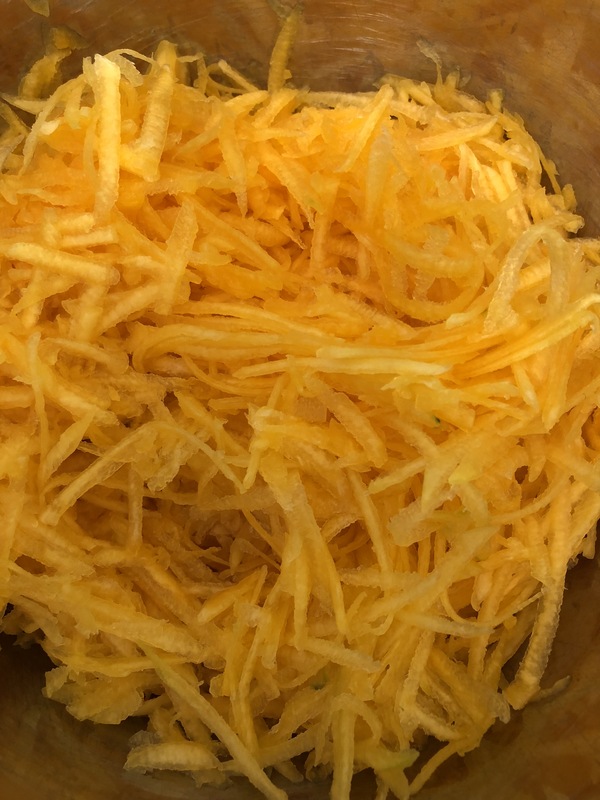 Place all your ingredients together in a bowl and mix lightly with your hands to thoroughly combine the ingredients, this is messy but more efficient than using a fork or spoon. While your hands are still messy shape into patties. 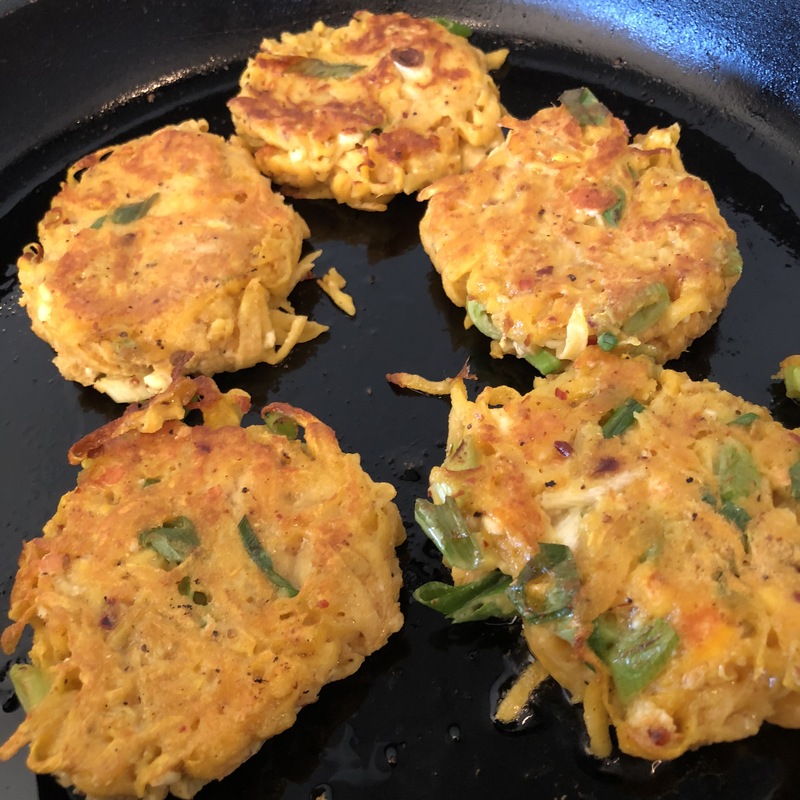 I got ten fritters – using approximately 1/3 cup of mix hand shaped into a pattie/fritter, and then sauted over a medium heat so that they cook through. I haven’t tried making these in the oven but I am sure that they would work that way as well – I would try about half an hour at around 180’c. These taste great and are another great way to use seasonal fresh ingredients every day. Hi Jude sorry I was slow getting back to you, you could use normal flour or a branded gluten free flour instead of the chickpea flour. Give them a try and enjoy thank you.